As expected, a number of the elite milers in Europe who have been scrapping it out at Group 1 level already this season are among the 47 entries. Among them are the first four horses home in the Queen Anne Stakes at Royal Ascot, the field having been led home that day by the Eve Johnson Houghton-trained Accidental Agent. Johnson Houghton was delighted by a recent workout at Sandown with the progressive four-year-old, who is set to run this weekend at Deauville before future plans are set in stone. The sublime ALPHA CENTAURI among the 47 entered for the QIPCO QEII Stakes. She could take on some very talented males like LIGHTNING SPEAR! Also set to be busy this weekend, but being campaigned with an eye on QIPCO British Champions Day, is the Simon Crisford-trained Century Dream, beaten less than a length into fourth in the Queen Anne, but ready to return to action in the US this weekend. “He goes for the Arlington Million and he will hopefully give a good account of himself there, but he has certainly been given an entry in the Queen Elizabeth II Stakes and that will definitely be an option for him,” said Crisford. Third at Royal Ascot, just behind Lord Glitters, but a deserved Group 1 winner at Goodwood since in the Qatar Sussex Stakes was Lightning Spear, trained in Newmarket by David Simcock. “It was wonderful to see Lightning Spear win at Goodwood, his next options are probably in France, but whether he takes in the Prix du Moulin or the Prix de la Forêt, we’ll have to see,” said David Redvers, racing and bloodstock manager to Lightning Spear’s owners Qatar Racing, headed by Sheikh Fahad Al Thani. Beaten only a couple of lengths in both the Queen Anne and the Qatar Sussex Stakes and a good winner in between in the Group 2 Fred Cowley MBE Memorial Summer Mile at Ascot, Beat The Bank is on course to return to Ascot on QIPCO British Champions Day, according to trainer Andrew Balding. Alpha Centauri has proved herself the outstanding three-year-old of her generation, cracking the Ascot mile track record in the Coronation Stakes. She added another QIPCO British Champions Series title in the Tattersalls Falmouth Stakes at Newmarket. ”I’ve entered Alpha Centauri for the Queen Elizabeth II Stakes,” Harrington said. “I have no idea at the moment where she will end up, as each race is being taken as it comes, but she has loads and loads of entries.”One horse who hasn’t been seen for some time is the William Haggas-trained Addeybb, winner of both the 32Red Lincolin Handicap and the Group 2 Bet365 Mile at Sandown at the start of the season, but off the course since finishing in mid-pack when favourite for Newbury’s Al Shaqab Lockinge Stakes. He has entries in both the Queen Elizabeth II Stakes (sponsored by QIPCO) and the QIPCO Champion Stakes, with Haggas weighing up the merits of both contests. “What I learned from Newbury is that I wouldn’t run him on good to firm ground again,” he said. “But he has had some time off since and is currently doing very well, enjoying some sunshine before we bring him back. 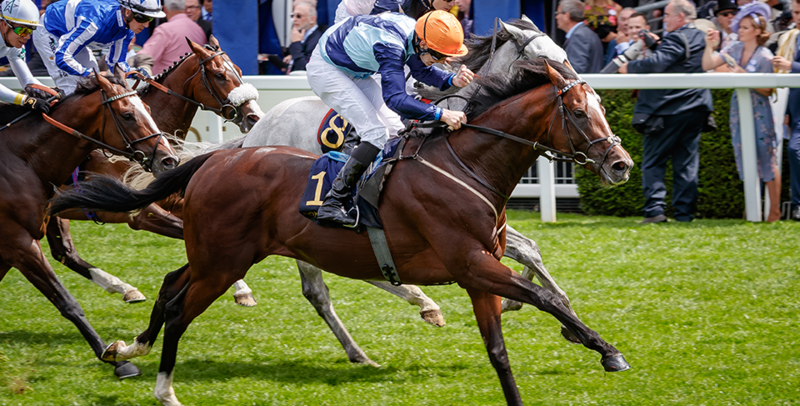 Other notable inclusions are With You, winner of the Prix Rothschild for Freddy Head, Sir Michael Stoute’s Jersey Stakes winner and Qatar Sussex Stakes runner-up Expert Eye, and Without Parole, who landed the St James’s Palace Stakes at Royal Ascot. Premier Enclosure tickets to Britain’s richest raceday are close to selling out. Secure your spot here before it’s too late.